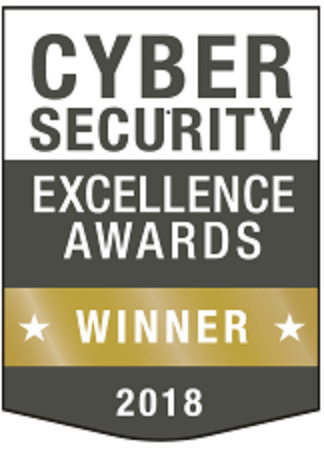 Comodo AEP is selected as the best ransomware protection program in 2018 cybersecurity excellence awards. Comodo Advanced Endpoint Protection software is a comprehensive endpoint protection platform which contains various security technologies. This includes host-based intrusion prevention system (HIPS), anti-virus, personal firewall, web filtering, white/blacklisting, behavior analyzer, application control, device control, vulnerability analyzer, patching and Secure Auto-Containment. Besides, it offers management/reporting in an integrated package. This feature increases safety and administration effectiveness while decreasing support responsibilities. In recent times, we notice that the zero-day and advanced persistent threats are on the rise. As a matter of fact, a single ‘Patient Zero’ infection is all it takes to cause the grave damage. The industry too firmly adheres to an old technology called the ‘default-allow’ approach. This allows unauthorized applications and files to run with unfettered access to system resources – it is like welcoming online threats with open arms. On the contrary, Comodo offers a default-deny security posture that filters unknown applications/executables automatically in a separate container. And, all the known bad ones are blocked, with default-allow usability. Currently, there are 87 million endpoints that are protected by Comodo Advanced Endpoint Protection and there are no endpoint infections or security breaches reported thus far. Over the years, technology advancements have touched new heights and they are no longer simple. Today, organizations are using complex networks of on-premises, mobile and cloud services to connect with their customers, partners, and employees. The huge volumes of data and easy access to them invite hackers to prey on them. Online criminals are gearing up with sophisticated threat tactics to propel persistent attacks on the endpoints. Comodo Advanced Endpoint Protection provides uncompromisable endpoint security which bots, DDoS attacks, keyloggers, malware, and ransomware are constantly attacking. Advanced Endpoint Protection offers organization with endpoint protection that will stop known and unknown threats. Therefore, your business can run unhindered and the top management can focus on the business roadmap instead of worrying on cyber threats that could lead to potentially devastating breaches. The cloud-based advanced malware analysis platform of Comodo investigates 36B+ unknown files a year. Static, dynamic and human analysis provide 100% verdict in 30 seconds, five times faster than competitors. As a result, it offers employees complete usability with default deny protection, therefore security never influences performance.